Sanmao (March 26, 1943 - January 4, 1991), literally "three hairs" though it is not considered to have a meaning, was the pseudonym of the popular Taiwanese author Chen Ping . She adopted her pseudonym from the acclaimed caricaturist Zhang Leping's most famous work "Sanmao", which tells the story of a Shanghai street child named "Sanmao". In English she was also known as Echo, the first name she used in western European languages, based on the homonymous Greek nymph. writer” with her charming personal character since the 80’s of the 20th Century. Her books(《 The Stories of the Sahara 》, 《 Gone With the Rainy Season 》, 《Plays hooky for Studies》, 〈Lonely Long-distance race〉, 〈Sob Camel》,《Back》, 《Straw Manpower Records》, 《Delivers You a Horse》) deal mainly with her own experiences studying and living abroad. They were extremely well-received in both Taiwan and the Mainland China, and they remain very popular. 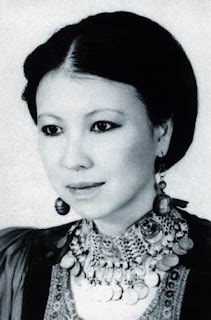 From 1976 to the time of her death in 1991, Sanmao published more than 20 books. She also translated the comic Mafalda from Spanish to Chinese. nSanmao was born in Chongqing , China, and the whole family moved to Taiwan later. She is said to have read the Dream of the Red Chamber , a famous Chinese classic, at the age of five and a half years old. In elementary school, she read much literature. Throughout her education she had conflicts with her teachers, including an incident in which she said she wanted to be a garbage collector when she grew up, which her teacher said was unacceptable. During her second year of high school, she shut herself up due to a traumatic incident, and refused to go to school. Her father bought many books for her to read at home, allowed her to take piano lessons, and practice painting. 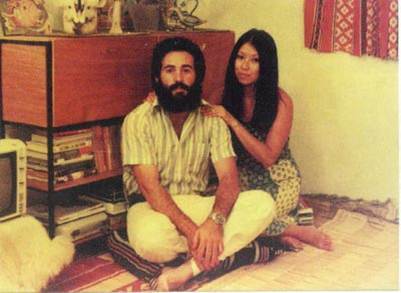 From 1965 to 1969, she studied philosophy in Taiwan, and it was during this period that she experienced her first love. Things didn't work out, so she planned to go as far away as possible, and ended up in Spain. Between 1967 and 1970 she studied in Spain, and then in Germany, and later found work in a law library in the state of Illinois in the US. Eventually, she returned back to Taiwan and began working as a German teacher. Her fiance, a 45 year old German man, died of a heart attack, and she again left Taiwan and returned to Spain. In 1974 she went to the Colonial Spanish Sahara desert and married a Spanish man named Jose Maria Quero Y Ruiz , whom she met in Madrid 7 years before when she was a student. She writes that when she first met Jose in Spain she thought he was very handsome, but too young for her. Jose had been waiting for her since she had returned to Taiwan, although they had not been dating at the time. In 1976 she published her first work, the fictionalized-autobiographical The Stories of the Sahara . With its immense success, her early writings were collected in a second book, published under the title Gone With the Rainy Season . Her writings continued to be published from that point on, and her experiences in the Sahara and the Canary Islands were published in several more books. In 1979 her husband drowned while diving. 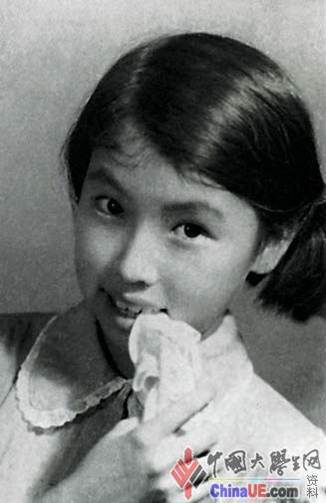 In 1980 she returned to Taiwan, and in November of the same year, she traveled to Central and South America, on commission from Taiwanese publishers. These experiences were recorded in subsequent writings. From 1981 to 1984, she taught and lectured in a Taiwanese university. After this point, she decided to dedicate herself fully to writing. Sanmao died in a hospital in Taipei, having hanged herself with a pair of silk stockings. This took place days after a cancer scare and losing the Hong Kong movie award for her script to the film Red Dust , a loss which she took poorly. Some fans, most notably Zhang Jingran, claimed her death was a murder. Her apparent suicide came as a shock to many of her readers and was accompanied by public expressions of grief throughout the Chinese-speaking world.